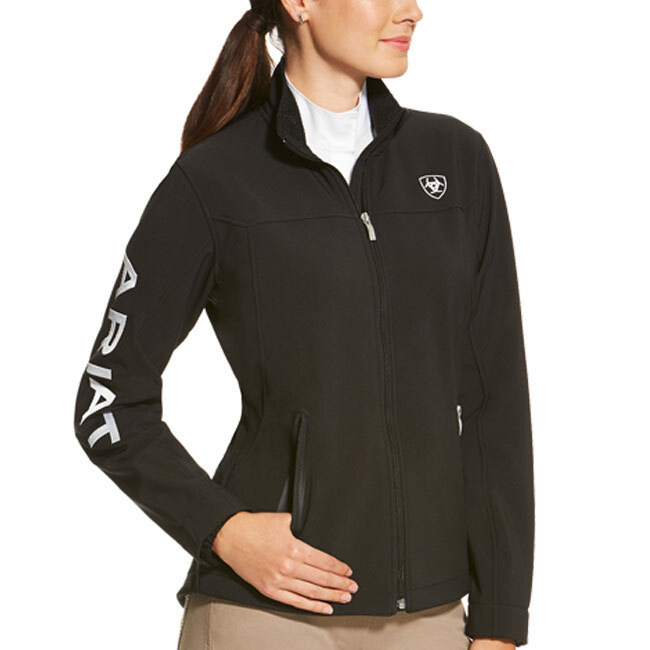 The Ariat Team softshell jackets make an interesting pieces because they do so much at once. 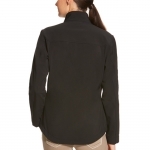 The women's jacket resists wind, repels water, and most importantly, breathes well, which strikes a nice balance between weather protection and comfort. The warm micro-fleece backing on the inside transforms the Ariat Team jacket to a year-round or at least 3-season jacket, earning an important spot in your closet.